The launch isn’t until July 16, but I’ll post some photos leading up to that time. 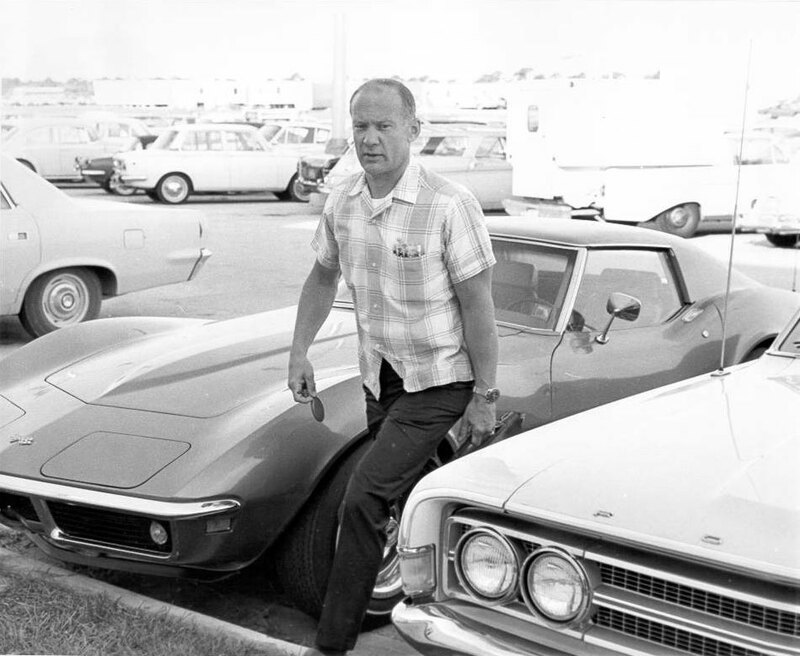 40 years ago today, July 10, here’s Buzz Aldrin arriving for one of his last “normal” days of work. Most of the astronauts drove Corvettes. ‘Cause they’re cool.